KISUMU, Kenya (RNS) â" The Legio Maria Mass at Ephesus Church on a recent Sunday morning featured Prophet Moses Otieno singing hymns and reciting the rosary before an altar adorned with pictures of Jesus, Mary and church founder Simeo Ondeto and his mother, Maria. Then Otieno began to speak in tongues and cast out demons as congregants wailed, spun and fell to the floor. 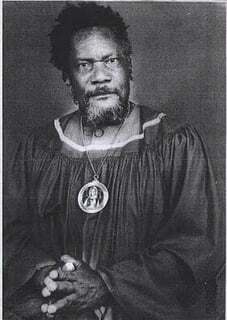 The Legio Maria movement (Latin for âLegion of Maryâ) sprouted in western Kenya in th e 1960s after Ondeto, his mother and other members were excommunicated from the Roman Catholic Church for practicing exorcism. Ondeto, who died in 1992, is now believed to be the Messiah. Specifically, Legio Maria adherents believe Jesus and Ondeto are the same person who has appeared in different ages bearing a different skin color. The group is often mistaken as being Catholic because it celebrates the main elements of the traditional Latin Mass. It has nuns and its own pope, Romanus Ongâombe, who lives at church headquarters in Got Kwer, located in Migori County, in southwestern Kenya. Anyango said she could personally testify to the power of the prophetâs prayer. But Bishop Philip Anyolo, chairman of the Kenya Conference of Catholic Bishops, said this new religious movement is misleading its followers and that many are returning to the Catholic Church. 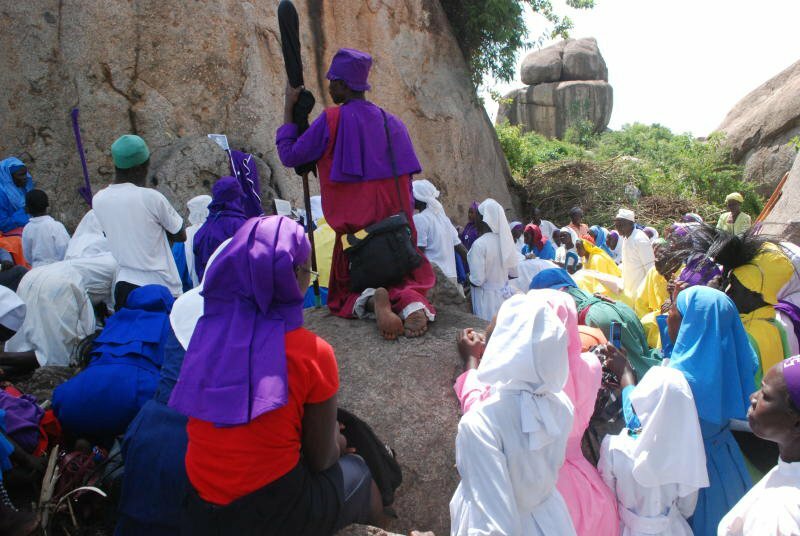 Kenyansâ cultural affinity to witchcraft has lured many to churches where visions, dreams and superstitious beliefs are explained by church elders in religious terms, said Anthony Maiga, a theologian and pastor for the Methodist Church of Kenya in the capital, Nairobi. Maiga said Kenyans face lots of challenges â" poverty, disease, unemployment, divorce â" and religious groups beckon as places of ref uge and healing. âWhen Kenyans are faced with these challenges in life they blame it on the bad spirits and seek deliverance from such religious groups who they believe can solve them,â he said. Anyolo said the Catholic Church had taken steps to ensure its members are not deceived by making sure adherents are well-versed in the churchâs catechism. But Otieno said it was not teachings but practical answers to spiritual problems that will ultimately win the day with new converts.